The Aeolus Tyre Co Ltd was founded in 1965. The manufacturing operations are centred on the town of Jiazou located in China’s Henan province and today covers an area of 1.3m square meters devoted to tyre research, development and manufacturing. 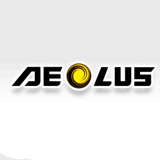 Aeolus manufacture a very wide and comprehensive ranges of high quality products stretching from car and truck tyres, military, industrial and earth mover sold under the AEOLUS, HENAN and WINDPOWER names. Products that are not only famous in China but are marketed to over 100 countries across the globe. 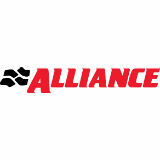 Kirkby Tyres Ltd is the sole distributor and importer for Alliance tyres in the UK and Ireland. Kirkby Tyres Ltd, established over 50 years ago, is a national and international tyre wholesaler making sales and purchases on a worldwide basis. The UK head office and depot operating from Liverpool, along with their Irish operation in Dublin, offers a full and comprehensive range of products and services to tyre distributors, OE manufacturers and export customers from their core brand of Alliance tyres. Kirkby Tyres Ltd carries large stocks of car, truck, tractor, flotation, industrial and earthmover tyres and tubes, together with wheels to suit any application – all available for next day delivery nationwide. Kirkby Tyres specialise in hard to get items as well as being able to supply full container package deals in all categories which includes fitted units. These prestigious awards reflect the manufacturer’s commitment in research and development of their products. There is a never-ending commitment by its workforce to improve their products and gain customer loyalty. Founded in 1995, SHANDONG JINYU TIRE CO., LTD. has grown to become one of China’s largest tyre manufacturers with an annual capacity of 10 million tyres. With the most advanced production processes, development and inspection equipment, Jinyu produce some of the highest quality budget range tyres available. 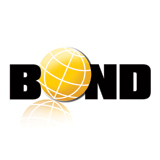 Jinyu Tyres and Rotalla Tyres are available through the sole UK distributor Bond International. 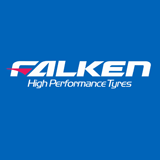 Founded in 1983, Falken designs and manufactures an expanding range of high performance tyres for cars, off-road and commercial vehicles. As a subsidiary of Sumitomo Rubber Industries Japan, the fifth largest tyre manufacturer, Falken has access to the latest compound, construction and tread pattern technology to create high performance tyres. The result is a comprehensive range spanning the track-inspired AZENIS series, including the latest FK453 flagship, through to the efficient and innovative ZE914, the rugged all-terrain WildPeak A/T and cold weather EUROWINTER HS449. Falken is equally renowned for its in-house motorsport campaigns, used to explore and develop new tyre technologies, truly reinforcing its ‘Racetrack to Road’ message. Falken’s blend of tyre performance and quality, backed up by an expanding local R&D team at its European headquarters in Germany, has led recently to a number of key European OE-fitments, notably across the VW Group. 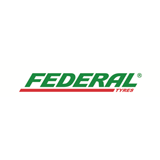 Founded in 1954, Federal Tyres has soon grown to be one of major tyre brands in Taiwan. Technical cooperation with Bridgestone Corporation from 1960-1979 and with Sumitomo Rubber Industries (a.k.a. Dunlop Tires) from 1981-2000 have enhanced Federal’s outstanding capabilities of continuously investing in state-of-the-art facilities, applying strict quality control and high regulated safety standards to products while looking into customers’ expectation and maintaining their loyalty. With distribution in over 121 countries in 5 continents, Federal manufactures comprehensive product line-ups including UHP, SUV, LTR, PCR and Motorsport lines that meet the satisfaction of all. 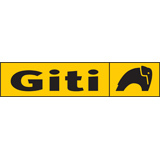 With advanced technological input and state of the art machinery and equipment, GITI Tire produces a comprehensive range and brands of tyres for passenger car and commercial vehicles. It is putting considerable resources and energy into the development of environmentally friendly tyres by producing tyres with a lower energy consumption, lower noise emissions and a more robust construction to reduce carcass disposal within the environment and the usage of non-aromatic oil. 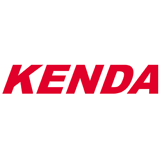 Since 1962, Kenda has been offering high-quality rubber products for cars and light trucks, bicycles, motorcycles, ATVs, trailers, karts, golf car, lawn and garden, wheel chairs, and skid loader/agricultural vehicles. Operating in Asia, North America, and Europe, Kenda distributes its products in over 150 countries and employs more than 10,000 people. In 2013, Kenda was named the world’s 31st largest tire manufacturer. In Europe Kenda has recently enhanced its presence with the opening of Kenda Rubber Industrial Co. Europe GmbH. This shall enable Kenda to work closer with the markets and react faster to the changing market requirements. At Kenda, we understand that only the best operation will yield the highest efficiencies and keep us in the forefront of today’s competitive market. Kumho Tyre (UK) Ltd is the UK subsidiary of Kumho Tire Co, Inc. of Seoul, Korea, part of the Kumho Asiana Group, one of Korea’s largest business conglomerates. Founded in 1960, the company manufactures over 60 million car, 4×4, van and truck tyres a year at its plants in Korea, China and Vietnam and supplies these to 180 countries around the globe. With R&D Centres on three continents Kumho uses class-leading technology to develop future-orientated products that are environmentally friendly and provide greater fuel efficiency. 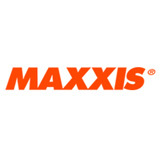 For more than four decades, the people who make up Maxxis have provided high-quality tyre products for cars and light trucks, bicycles, motorcycles, ATVs, trailers, karts, industrial and lawn & garden care. With distribution in over 150 countries, operations in Asia, Europe and North America, and more than 22,000 employees around the world, Maxxis produces 1,000,000 tyres and tubes per day, with a turnover exceeding $3.2 billion. This makes Maxxis one of the largest and most respected tyre companies in the world. 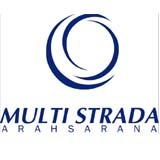 PT Multistrada Arah Sarana, Tbk. is an Indonesian tire manufacturer of Passenger Car Radial (PCR) and Motorcycle Radial (MC) for both own brand of Achilles and Corsa. As one of Indonesia’s leading tire manufacturers, Multistrada’s production capacity produces more than 45.000 tires daily for both PCR and MC tires and exported to more than 89 countries. Actively engage at automotive events, our Achilles brand is the Official Sponsor of Formula Drift Series and as a company, we are currently the Official Tire Partner of Manchester United in Indonesia. 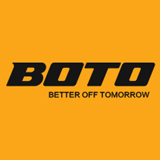 Located in Shandong Province, China, as a leading subsidiary company of China Wanda Group who is one of top 500 national industrial enterprises in economic strength, Shandong Wanda BOTO Tyre Co Ltd is a large scale of professional tire production enterprise mainly involving with development, production and sales of TBR, radial OTR and light truck tires. Sailun Co Ltd, is a relatively new company, having being established in 2002, and are the first tyre manufacturer to integrate production , research and demonstration techniques into their manufacturing processes. The Sailun factory covers an area of 400,000 square metres and is situated in National Economic and Technological Development Zone in Qingdao. Sailun manufacture a range of both radial passenger and light truck and radial truck tyres. The range covers High Performance (Atrezzo), Winter (Ice Blazer), 4×4 (Terramax) and Van (Commercio) tyre applications. Sailun have steadily been growing their worldwide distributor partner base and are always looking to enhance their network with suitable, professional companies. 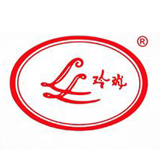 Shandong Linglong Tyre Co., Ltd was founded in 1975, with its head office based in Shandong China. It is listed among “China Top 3 Tyre Manufactures” and “The world’s Top 16 Tyre Enterprises”. It produces PCR, LTR, TBR and special tyres with an annual production capacity reaching 30 million sets. Its self-developed snow tyres, eco-friendly tyres and run-flat tyres have been well recognized. With the increase of R&D investment, it has established well-equipped Technical Center, post-doctoral workstations and the first domestic noise laboratory. Triangle tyres from the Shandong province of China are imported in the UK by Tym International Ltd. The Triangle portfolio consists of three segments, earthmover, truck and passenger tyres. Triangle first started producing Tyres in 1976, rapid growth on both the domestic and export markets have seen Triangle yearly production now exceeding 20 million tyres per year. Currently the company runs three tyre plants – production base number 1, which manufactures 5 million passenger car and light truck tyres, 3.5 million truck and bus radials and 3.5 million bias tyres each year; production base number 2 (200,000 radial OTR, 10,000 giant OTR, 100,000 bias OTR and 12 million passenger car tyres annually). 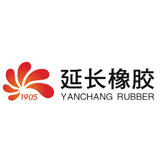 Shaanxi Yanchang Petroleum (Group) Rubber Co., Ltd. is related to Shaanxi Yanchang Petroleum (Group) Co. Ltd, a corporate heritage that suggests the tyre business has significant backing. Yanchang Petroleum entered the Fortune 500 in 2013 ranked 432nd. Established in 1945, Toyo’s aim is to produce high quality tyres that offer outstanding road-holding and stability at all speeds in both dry and wet conditions. Significant investment in research, design and technology, combined with rigorous testing and quality control gives Toyo’s tyres exceptional performance. Over the course of more than 45 years VDB Group has developed itself into a professional international tyre distributor. With its headquarters located in Hellevoetsluis, the Netherlands, the VDB Group operates a total stock of approximately 1,6 million tyres, spread over various warehouses throughout Europe – offering a very extensive range of tyres for passenger cars, delivery vans, trailers/caravans, 4x4s/SUVs and trucks in both summer, winter and all season patterns. VDB is the exclusive distributor of ‘Hifly’ tyres for the European mainland. In 2016, the private, budget brand ‘Goldline’ was introduced, which is also produced by Hifly’s manufacturer ‘Shandong Hengfeng Rubber & Plastic Co.,Ltd.’. 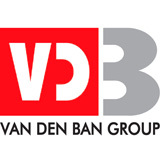 The Van den Ban Group contains several different tyre distribution companies and warehouses throughout Europe and sells over 7 million tyres annually in approximately 30 brands. 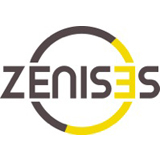 Ztyre is the new passenger tyre range distributed in Europe by Zenises. With a focus on tyre dimensions to fit the latest vehicle models (including run flat technology and SUV tyres), Z aims to bring the technical and aesthetic advantages of a performance tyre at a price for all to enjoy. Our message is “When Performance Matters” – a perfect balance of road handling, safety and style.